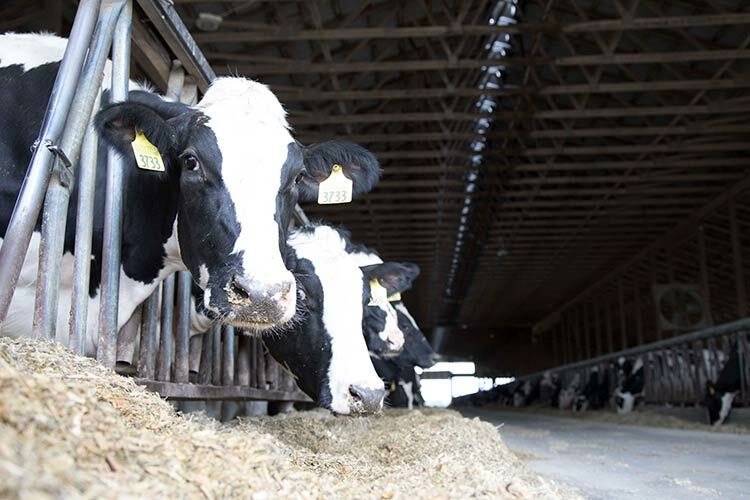 Holstein America showcases the passion behind the dairy industry. A few weeks ago, the premiere of Holstein America aired on RFD-TV. I hope many of you tuned in to watch the hour-long presentation about the lives of Registered Holstein dairy farmers. I found the episode on YouTube where smaller clips of each of the segments are also available. Each dairy farm featured was full of characteristics that make them unique, but they all share a common love for the Holstein cow. The coast-to-coast perspective of the dairy industry was one way the story was showcased. Dairy cows can adjust to live anywhere in the United States. Each region comes with its challenges, but the diversity of farm size and location in the United States is one of my favorite parts of the industry. Registered Holsteins can be found on operations of all sizes. When someone starts to tell a story, people gather around and listen. Dairy farmers are full of these stories, ranging from how they became a farmer to their favorite cow. The episode was full of these heartwarming stories that showed dairying is a family-oriented profession. I am looking forward to the next episode, which is scheduled to air this coming fall. Sharing the videos with friends and family is a great way to promote the dairy industry. What makes you passionate about your dairy farm? The story of farmers is a powerful tool these days.